The Wisconsin Council of Churches (WCC) is pleased to share with you this groundbreaking resource for Wisconsin congregations, “Loving our Interfaith Neighbors: A Study-Action Guide.” A copy has been mailed to every member congregation in Wisconsin. As Executive Director of the Council, I pray that it will be an instrument of healing and hope for you and your congregation. On the 10th anniversary of September 11th, the WCC and the Islamic Society of Milwaukee co-hosted a remarkable day of dialogue as a powerful witness to the importance of interfaith understanding and cooperation in the aftermath of the terrible tragedy that occurred a decade earlier. On this anniversary, over 250 Christians and Muslims shared in life-giving conversation as they focused on getting to know one another. From the energy of that event grew the idea for this educational resource to help local congregations build relationships with their interfaith neighbors across the state. According to a recent national poll conducted by the Pew Research Center, only 52 percent of Americans know a Muslim and far fewer can claim any as friends. Since most Muslim communities are in urban areas, many of us who live in small towns and rural communities simply haven’t had the opportunity to build these kinds of interfaith relationships. And because so many of us don’t really know our interfaith neighbors, it is then no surprise that unfair and inaccurate stereotypes take root, fueled by our divisive politics and the secular media. The Islamic faith, as a primary example, gets painted-unfairly and inaccurately-with the broad brush-strokes of terrorism. A prior byproduct of the 10th anniversary event in Milwaukee was the WCC’s superb ecumenical statement, composed by our Unity and Relationships Commission, detailing the “why” and “how” of interfaith relationships for Christians, which was adopted by our Board of Directors in 2014 and serves as the theological companion to this study guide. You can download a copy of “Loving Our Neighbor: A Statement of the Wisconsin Council of Church on Interfaith Relations”from the WCC Policy Statement page. 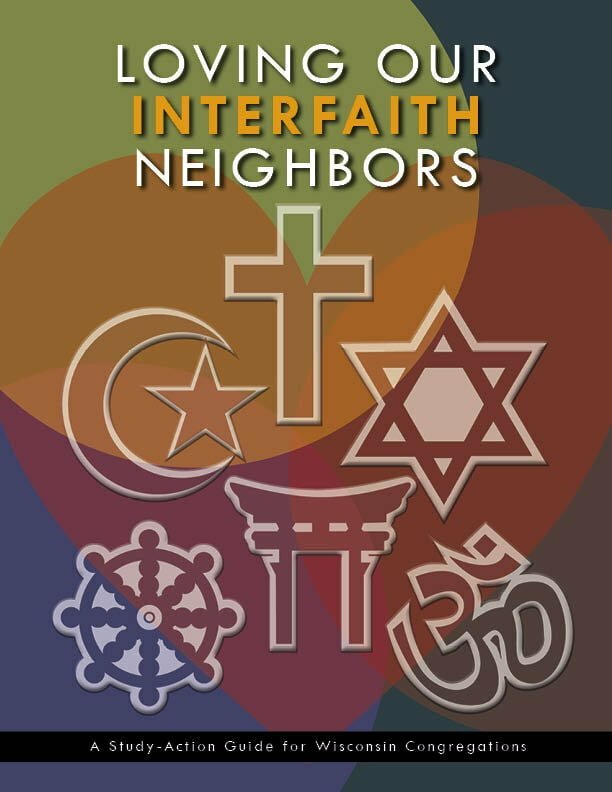 The “Loving our Interfaith Neighbors” study-action resource for Wisconsin congregations is written with these goals in mind, but our first step on the journey is to actually get to know those of other faith traditions, which is what this resource will help you do. As you begin to explore this resource, I hope you will join me in giving thanks for the ecumenical, all-volunteer, writing and editing team that has labored for many months to bring this study-action guide to you. 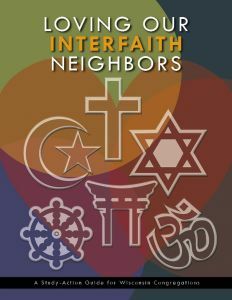 We are also grateful for the financial support of dozens of individual donors, both large and small, along with several of the member denominations of the WCC, which together have made the production and distribution of “Loving our Interfaith Neighbors” possible at no cost to you and your congregation. As you and your congregation embark on this journey of “Loving our Interfaith Neighbors,” I pray for God’s richest blessings to be upon you and those of other faiths whom you will encounter. May we all be instruments of God’s grace and healing in the process.